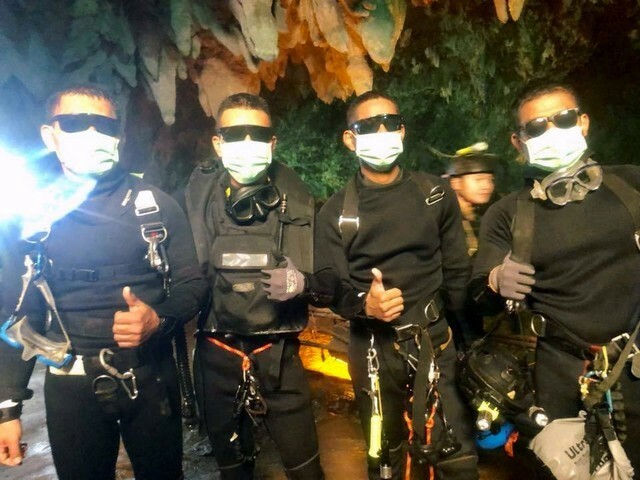 BANGKOK/CHIANG RAI (Reuters) – The head of a Thai navy SEAL diving team that helped lead 12 boys and their soccer coach through a flooded cave complex to safety urged the boys on Thursday to “be a force for good” as the dramatic operation wound to a close. The first footage of the boys, aged 11 to 16, convalescing in hospital in the northern city of Chiang Rai emerged on Wednesday, with some, wearing face masks and hospital gowns, giving peace signs for the camera. Health officials said the boys would spend at least a week in hospital and around 30 days recovering at home following more than two weeks trapped inside the flooded Tham Luang cave complex. 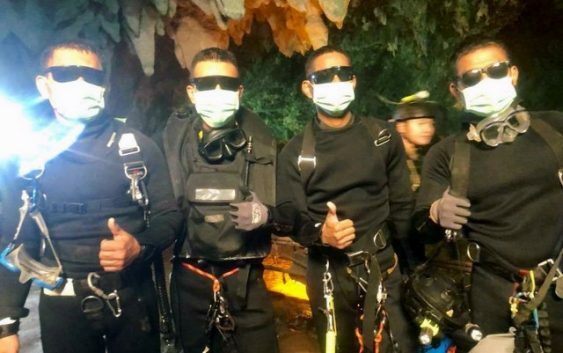 Thirteen foreign divers and five Thai Navy SEALs guided boys and their coach out in a complicated three-day operation that ended on Tuesday. “Make the most of your lives. Be good people, be a force for good for your country,” Rear Admiral Apakorn Yuukongkaew, commander of Thailand’s navy SEALS unit, said in a message to the boys before boarding a flight from Chiang Rai. “Hooyah!” Apakorn shouted before flying out, using a morale-building navy term. Footage released by the SEALs showed parts of the rescue operation that captivated the world. The boys were held close to divers and remained motionless for parts of the journey where they had to dive. They were then carried on stretchers through dry parts to the cave’s entrance. Deputy Prime Minister Prawit Wongsuwan said on Wednesday the operation was nothing short of a miracle. Families of the 12 boys have been allowed to visit them. Some have been able to see the boys through a glass panel, others have been allowed closer, but had to wear protective suits and stand two meters away. The Tham Luang cave complex will remain closed to the public for at least six months, said Chongklai Worapongsathorn, deputy director-general of the Department of National Parks, Wildlife and Plant Conservation.